Are you struggling with a stubborn muscle group that just won't grow? Or perhaps you're pressed for time one day in the gym and you really want to get a solid training session in, but you only have 30 minutes. The Solution is GIANT SETS! Giant Sets are a fantastic way to blast through plateaus and conquer new muscle gains. Not to mention they're very simple to setup, however, not so easy to perform. 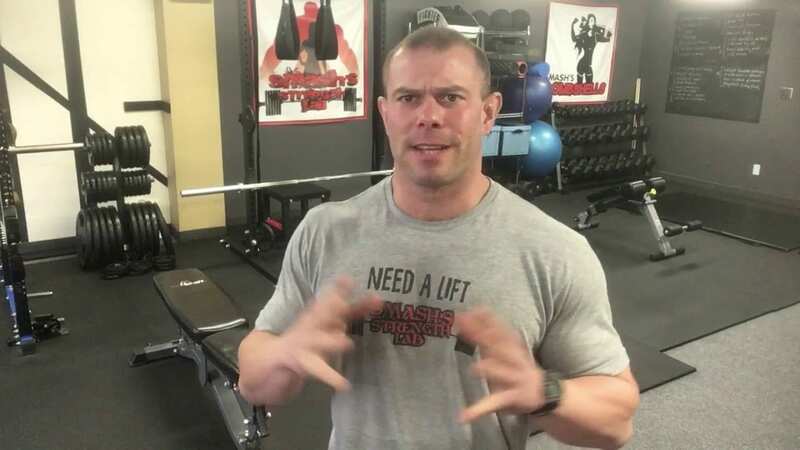 Basically, you're just going to pick a muscle or pairing of muscles that will be hit in a series of 3 or more exercises back to back with as little rest in-between sets as possible. The seated military press is designed to be the heavy load to elicit the most strength and mass building potential. The dumbbell laterals are designed to burn out that lateral head of the shoulder and really tax it out fully. Then finishing with the kettlebell clean and press allows one to push past the fatigue in the shoulders a bit using the legs and hips to eke out a few more repetitions than you could with a standard dumbbell press. The overall loading, volume and extreme metabolic fatigue is staggering in how much muscle damage you can encrue on yourself in a very short amount of time. So that's how we do it people! Now get in there and blast out a couple giant sets and watch those muscles beg for mercy! Just be sure to allow them to fully recover before trashing them in this fashion again. Are you ready for more workout tricks, programs and ideas for your next training session! Get ready for the Program Vault where you'll have a constant stream of workout programs, videos and guides to get you into the best shape of your life, whatever your goals!